On May 1, the Costume Institute at the Metropolitan Museum of Art will host the 2017 Met Gala, the Institute's annual fundraising event. Both the gala and the exhibition will honor Comme des Garçons and its founder, Rei Kawakubo, her avant-garde designs, and career-long commitment to pushing the envelope. Even if you're not into fashion, learning everything there is to know about Comme des Garçons is a worthwhile endeavor. It's one of the most unique lines in the game, existing somewhere between fine art and clothing. Simply put, you don't just look at Comme des Garçons clothing — you experience it. If the invitees to the 2017 Met Gala truly do pay homage to Comme, watching the red carpet will be entertaining in and of itself. Part of the reason why the designer is being honored is because of her imaginative, completely out-of-the-box approach when it comes to her collections. She doesn't merely clash prints or comes up with alternative silhouettes — rather, she completely restructures the way we interpret clothes. She calls them "objects for the body," and if you've ever seen photos of her lines you'll understand why. Quite a few of them aren't exactly wearable, but that's what makes them so amazing. Ahead are seven things you need to know about Comme des Garçons before the Met Gala — brace yourself! 1. What's Up With The Name? Comme des Garçons is French for "like boys." 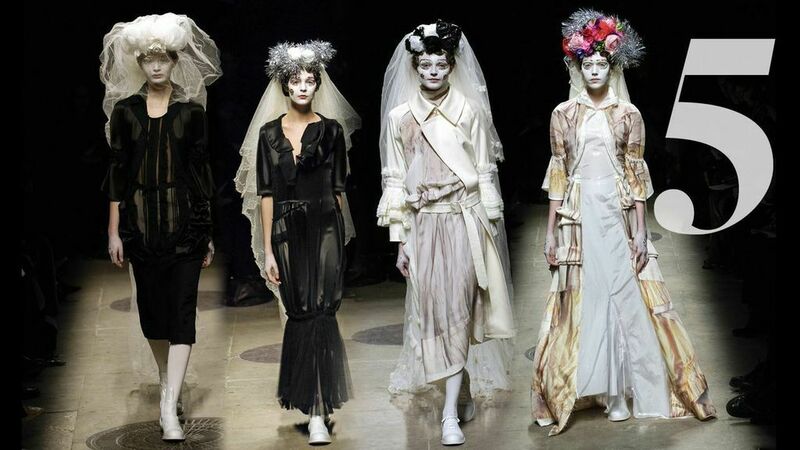 There's not a winding explanation on why Kawakubo wanted to pay homage to Paris and the history of haute couture. Instead, she was inspired simply by a song. The track was “All the boys and girls,” from the '60s by French artist Francoise Hardy, and it detailed one woman's never-ending doom of being surrounded by couples when she herself can never find love. According to High Snobiety, there was a lyric that sang, "Comme les garçons et les filles de mon âge" and that's when inspiration struck. Sometimes when you can't get a tune out of your head it can lead to great things. 2. When Did The Label Debut? It started in Tokyo in 1973, and in 1975 Kawakubo opened her first boutique in Japan. Her first show in Paris was in 1981, and at that point in time she was so wildly popular that Japanese newspapers and magazines dubbed her followers "the black crows." Her first show hinted at what the label was going to bring for years to come: Exaggerated silhouettes (think of sets that make the wearer look like Humpty Dumpty) and dark color palettes. 3. What's The Label's Point Of View In Fashion? Kawakubo doesn't make clothes — she makes works of art. Her runway shows don't really feature too many wearable pieces, like blazers or dresses. Instead, they're blazers and dresses reimagined. She chooses a theme (like say, Blood and Roses,) and then births outfits that are so wildly avant garde, cerebral, and inventive that you can't help but bow in her presence. She doesn't merely think of a new trend — rather, she ditches trends all together and completely restructures the way we see the formulas and rules of clothing. To give you an example, in her "Monster" show she created a knit blazer with around six sleeves, none of which were actually used as sleeves. She also created a structured dress that was all structure and barely any dress. She works outside of what is agreed upon as "clothes" and tries to challenge the industry to open its mind. 4. What Is Kawakubo's Signature Style? While it's hard to pigeonhole something to un-grasp-able, Kawakubo did reveal she's led to her ideas through a prevailing emotion of sadness. In an interview with Elle, she explained, "For me, creation can only come out of a certain kind of unhappiness. They say in Japan, this thing like the hungry spirit—the hungry mind — is what gets you going forward." When looking at her collections, you definitely get a sense of that kind of controlled, heavy emotion. 5. What Are Some Of Her Most Famous Collections? In 1982 she created a show entitled "Holes" where she sent models down the runway wearing moth eaten sweaters and tattered knits, which was a very new concept in that decade. "She has described them as a new version of lace," New York Magazine reported. In her "Broken Bride" show in 2005, she broke down wedding dresses to symbolize unhappy marriages. Then in 2012, "2 Dimensions" created clothing that looked like they were cut out from construction paper, treating us to outfits that were flat and geometrical. And for "18th-Century Punk," she juxtaposed punk fashion over Victorian silhouettes and prints, taking even the restrictions of time off of her creative genius. 6. Do People Actually Wear The Clothes IRL? If she's making money as a designer, then she's obviously selling her out-of-the-box pieces, so how do people wear them? While many definitely do purchase the haute couture, she also has other branches in her label that sell more "every day" styles. For example, Play Comme des Garçons focuses on casual streetwear like hoodies and polos, Comme des Garçons Noir is about black and white minimalist women's clothing, and the main Comme des Garçons label carries many seemingly "normal" feeling pieces that make their way down the runway. 7. How Big Of An Honor Is Comme Des Garçons Being Featured? Short answer: Huge. 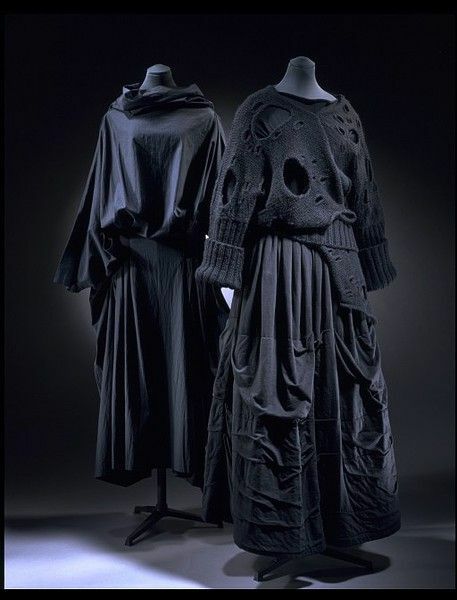 Kawakubo is only the second living designer the Met has featured with an exhibit — usually their work is displayed and treasured postmortem. The designer before her was the god-like Yves Saint Laurent and that was back in 1983, so this is massive. It's sufficient to say that this exhibit is going to be wildly fascinating, and now that you hopefully know a little more about the designer and label, the red carpet has the potential to be wild and creative — just like the fashion house.